WHY MOST BUSINESSES ARE BARELY SURVIVING. WHY MOST BUSINESSES BARELY JUST SURVIVE. Because they do not understand marketing or sales. In addition to your own skills you have for your own trade, marketing and selling should be the next skill you should focus on learning rather than all the shinny bling, bling gadgets that people are trying to sell you. The second biggest mistake most business owners make is to become so dependent on the internet to bring in business when they don’t really understand marketing or why their website is not generating any traffic and for those who are generating traffic they wonder why they don’t get the phone rigging off the hook or why is it that all the dingling are phoning me and wasting my time when they don’t want to pay for my goods or services. This all boils down to understand sales and marketing. And no I am not trying to or going to sell you a marketing course but just want you to focus on one thing going forward if this applies to you. If the above applies to you, then I don’t care what type of business you are in from TODAY onwards I want you to focus on becoming a marketing and sales expert in your own business and start learning as much as you can. There is so much free material on Youtube that you don’t need to spend a penny to learn. Second thing you should be doing is attending the Business Mastery 101 live events in London or Birmingham for just £20 a month so you can learn from experts who know how to market themselves their businesses and their products. You will never learn much sitting in a vacuum. Two months ago I had a new member joined our mastermind group who was very happy charging £750 per website that he designed for his clients working like a dog 12 hours a day like a dog for very little reward. In the last three months he has gone up to £2,000 a website and last week he signed up another client for just over £3,000 to do the same job, the same amount of time but to a different target audience and why was he able to do this? Because he learned how to better market himself, his services to a DIFFERENT target audience. PLEASE, PLEASE, PLEASE I urge and beg you to start learning more about sales and marketing and start differentiating yourself from every other competitor in your marketplace. If I can do it, someone who left school with no formal education or qualifications and ended up serving FTSE 100 Leaders as Their personal Mentor & strategic Advisor, then you who have a lot more going for you can definitely do it and much more and better than I have so far to date. PLEASE, I urge you to think about what I have said above, I have nothing to gain or lose if you do or don’t but it is my duty to make sure that I bring it to your attention or I would be failing to look after you as a group member and as the group owner of Business Mastery 101. I know, I tend to ramble on sometimes and specially on a Monday morning which today is but someone needs to help those that need pointing in the right direction. 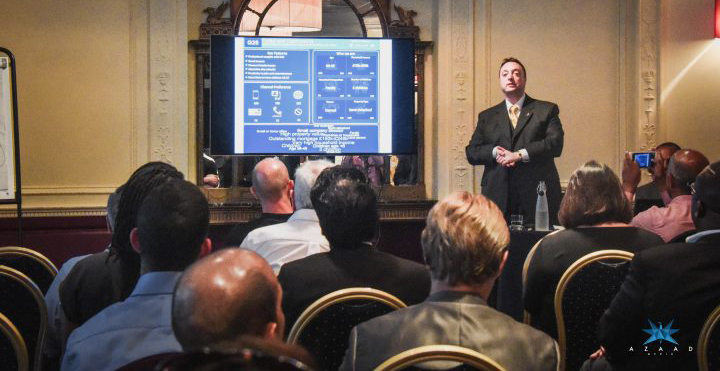 If you want to learn more, come and join me over coffee one evening in Mayfair https://moenawaz.com/business-mastery-london-101/ and start learning and making proper money in your business and stop just barely surviving from now on PLEASE, because I care about you, yes YOU.